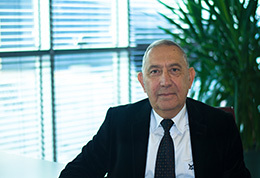 He completed bachelor's degree of Geological Engineering Department of Hacettepe University in 1982. Between 1984 and 2009 majority of his experience in State Hydraulic Works General Directorate belongs to karst development and investigations, water supply and spring development, permeability problems in dams and sealing measures. He worked as a Geological Engineer in various hydrogeology and geotechnics works. He joined Hidro Dizayn's geology group in 2009. He carried out his duty as an Expert Geological Engineer. He holds Consultant position since September 2015. He is married and has one child. He speaks Turkish (native). 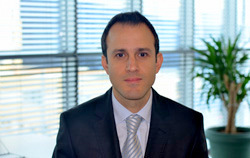 Mr. Cenk Mert Çelik has been promoted as the Group Manager of Final & Detailed Design Department, he completed bachelor's degree of Civil Engineering Department of Yıldız Technical University (YTU) in 1998, he obtained master's degree in Structural Engineering Department of Istanbul Technical University (ITU) in 2001. Between 2000 and 2008 he succeeded several superstructure and substructure projects in various design companies and joined to Hidro Dizayn by the first quarter of 2008. Till 2015, he carried out his duty as assistant group manager. Since then he holds Group Manager position. He is married and has one child. He speaks Turkish (native) and English.